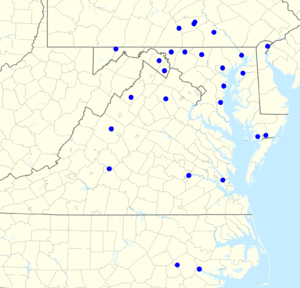 The Baltimore Orioles Radio Network comprises 39 stations in five states and the District of Columbia. The Orioles' flagship station is WJZ-FM/105.7 FM. Joe Angel and Fred Manfra currently split the play by play duties, with the other providing color commentary. All 162 regular season baseball games are currently broadcast throughout the network. ↑ "Broadcast Affiliates". Baltimore Orioles.